I am sharing a method to draw characteristic curve of a semiconductor diode and how to calculate the Forward and Reverse Resistance of a diode. I performed this experiment in university lab. The purpose of sharing this experiment process is to help fellow students for preparation of their Physics lab manuals. 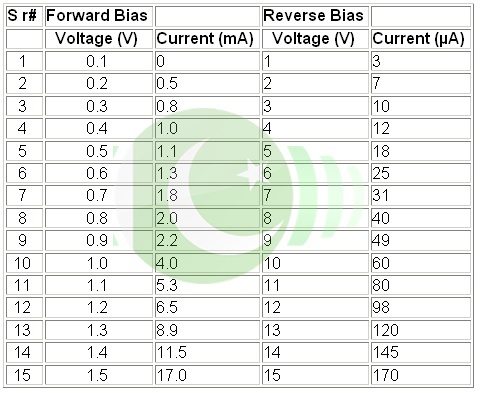 Keep reading this post for circuit diagrams and full range of all the values and tables. This experiment was performed in the Campus Physics lab. Apparatus: AC Power Supply, Diode, Ammeter, Voltmeter, Resistance. First connect company made circuit with AC 220 v.
Then start taking readings for Forward Bias increase voltage gradually and note readings from mA meter. Again start taking readings for Reverse Bias increase voltage gradually and note readings from µA meter. 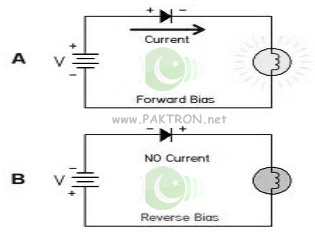 This is the simplest and easiest way to calculate the Forward and Reverse Resistance resistance of a semiconductor diode.